Tufted puffins are famous for stealing the bait from fishermen’s hooks as they go into the water. The overall body shape of the puffin reduces the surface area from which heat can be lost. Sharp, claw-like nails on the puffin’s webbed toes aid them in scrambling over rocky areas. 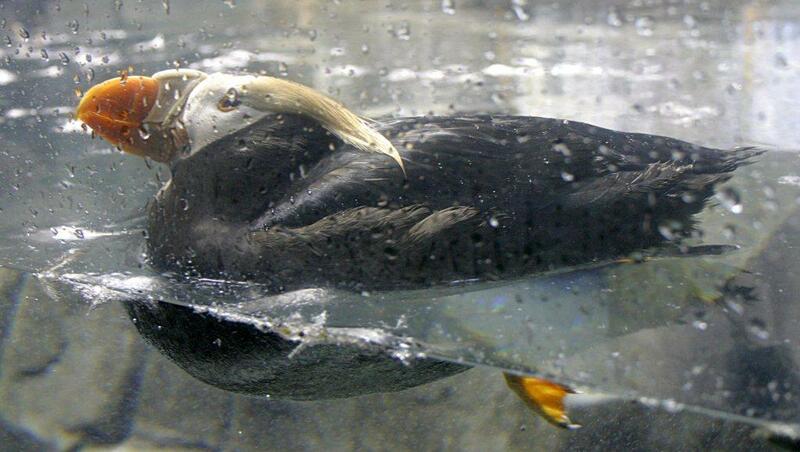 When swimming, the puffin’s webbed feet act as rudders.